Lakshmi Sahgal was born Lakshmi Swaminadhan on 24.10.l914 in what was then still called Madras. Her father was Dr. S. Swaminadhan, a brilliant and leading lawyer practising criminal law at the Madras High Court. Her mother was A.V. Ammukutty, a social worker, freedom fighter and tireless campaigner for women's rights who successfully contested elections to the Madras Municipal Corporation, the Constituent Assembly, the Lok Sabha and Rajya Sabha. She also served as National President of the All India Women's Conference. As a young girl, Lakshmi participated enthusiastically in nationalist programmes of burning of foreign goods, including her own clothes and toys and picketting of liquor-vends. She decided to study medicine not from the point of view of embarking upon a successful career but because she wanted to be of service to the poor, especially to poor women. As a result, she received the MBBS degree from Madras Medical College in l938. A year later, she received her diploma in gynaecology and obstetrics. In l940, Lakshmi left Madras for Singapore. Here she quickly established a clinic where the poorest of the poor, especially migrant Indian labour, could receive medical treatment. 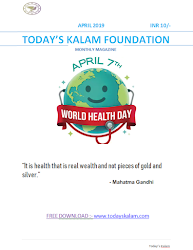 Not only did she establish herself as a successful, compassionate and extremely competent doctor, but she played an active role in the India Independence League which contributed greatly to the freedom movement in India. In l942 came the historic surrender of Singapore by the British colonial power to the Japanese. Lakshmi was kept extremely busy tending to the many casualties and injuries that resulted from skirmishes. She also came in contact with many of the India POWs who were deliberating over the Japanese proposal to form an Indian army of liberation. She was extremely enthusiastic about this possibility and argued strongly in its favour. As a result, she was very much part of the deliberations that finally resulted in the formation of the INA under Gen. Mohan Singh. Events moved very fast with the arrival of Subhas Chandra Bose in Singapore on 2nd July, l943. In the next few days, at all his public meetings, Netaji, as he was popularly known as, spoke of his determination to raise a women’s regiment, the Rani of Jhansi regiment, which would also fight for Indian independence and make it complete. On the 5th of July he spoke to Shri Yellappa, and enquired whether there was any Indian woman in Singapore who would be suitable for the task of leading such a regiment. Shri Menon immediately suggested Lakshmi’s name. Netaji insisted on meeting her immediately and she was brought to meet him quite late the same night. As soon as he put his proposal to her, she accepted it without a moment’s hesitation and, the very next day, she closed her clinic and began preparations for the formation of the Rani of Jhansi Regiment of the INA. These preparations were underway very soon and, in a short time, a well-trained fighting force of women recruits took shape. On 21st October, l943, when the Provisional Government of Azad Hind was announced, Lakshmi was the sole woman member of its Cabinet. The Rani of Jhansi Regiment saw active duty on the front. Lakshmi who was given the rank of Colonel, although in the popular imagination she remained ‘Captain Lakshmi’ was active both militarily and on the medical front. She played a heroic role not only in the fighting but during the terrible days that INA personnel were hunted by the victorious British troops and saved many lives because of her courage and devotion. She was finally captured and brought to India on 4th March, l946 when she received a heroine’s welcome. The British authorities realised that keeping her a prisoner would be counter-productive and she was released. After her release, Capt. Lakshmi campaigned tirelessly for the release and rehabilitation of imprisoned and de-mobbed INA personnel and for the freedom of India. She travelled the length and breadth of the country and was able to collect huge funds for the INA soldiers and also mobilise people against the colonial power. After the release of the prisoners, including Col. Prem Kumar Sahgal, from the Red Fort the campaign for freedom continued. In March 1947, Col. Sahgal and Capt. Lakshmi were married in Lahore (Col. Sahgal was the son of Justice Achhru Ram Sahgal, a member of the Punjab High Court Bench who was one of the judges in the Gandhi Murder Case). After their marriage, they settled down in Kanpur. In Kanpur, Lakshmi plunged into her medical work almost immediately because the influx of refugees started even before August, l947 when it became a flood. She worked tirelessly among them for several years. Later on she established a small maternity home in a hired premise where it continues till today. Her compassion and service to the poor have become legendary in the city. In l971, when huge numbers of refugees came from what was East Pakistan into West Bengal, Lakshmi worked at a camp in Bongaon for several months. After this, she became very active in left politics and in, first, the trade union and, then, the women's movement although she never neglected her medical work. When the All India Democratic Women's Association was formed in l981, she became Vice-President of the largest women's organisation in the country and has been actively involved in its activities, campaigns and struggles ever since. In October, l984, when anti-Sikh riots broke out in the city in the wake of Smt. Indira Gandhi’s assassination, she came out on the streets in defence of Sikh families and shops near her clinic and did not allow any of them to be harmed. Today, at 87, she still leaves for her maternity home at 9.00 every morning, seven days a week and works till late in the afternoon. Adulation and awards mean very little to her. Her unassuming manners and modesty are a source of amazement and inspiration. Her untiring and undying commitment to humanity and its service are truly exceptional. The 97-year-old revolutionary turned social activist served the country all her life. Even after death, as per her will, her eyes and body were donated to medical college. The eyes will give vision to visually challenged and the body will be used for medical studies. 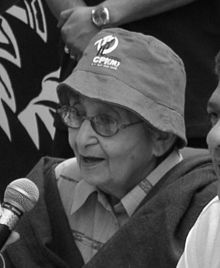 Legendary freedom fighter Captain Lakshmi Sehgal, who was part of Netaji Subhash Chandra Bose's Indian National Army (INA), died on Monday. She breathed her last at 11.20 am. She was admitted to a private hospital on July 19 after a massive heart attack at her residence in Civil Lines area.